The Jewish customs of phylacteries and tassels may seem foreign and somewhat mysterious to many Christians. What are they? Why are they Jewish customs? Jesus mentions both phylacteries and tassels in Matthew 23. Because they are mentioned in a context that is critical to the scribes and Pharisees, we might get the impression that Jesus disapproves of phylacteries and tassels. But the point Jesus is making is not the custom itself; he is objecting to insincerity and pretentiousness. In the immediately following verses, Jesus describes our very human tendency to seek attention and to be treated with elevated honor— wouldn't we all “love to have the place of honor at banquets and the best seats in the synagogues”? Jesus is no more opposed to phylacteries and tassels than he is to banquets and synagogues— these customs are not the point he is making. Jesus himself wore tassels. His tassels are mentioned four times in Scripture— Matthew 9:20; 14:36; and Mark 6:56. The word tassel used in this HCSB version is the translation for the Greek word kraspedon. Many English Bible versions unhelpfully use hem, border or fringe to translate kraspedon. The ancient Greek translation of the Old Testament— the Septuagint— uses kraspedon as the word for the tassels mentioned in the Torah. Naturally, Jesus followed the instructions in the Torah— he wore tassels and was ever mindful of the commandments of the Lord. 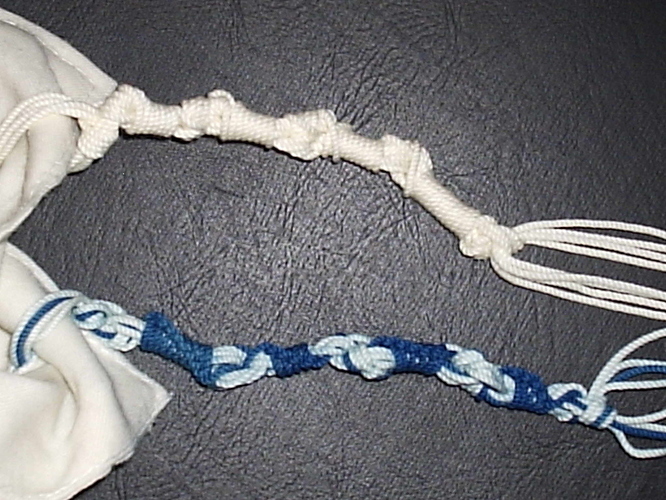 These tassels are called tzitzit in Hebrew. Today, torah observant Jews wear tzitzit attached to the four corners of the tallit prayer shawl and on tallit katan undergarment. The custom of wearing phylacteries is derived from the following texts in the Torah. Phylacteries are called tefillin in Hebrew. 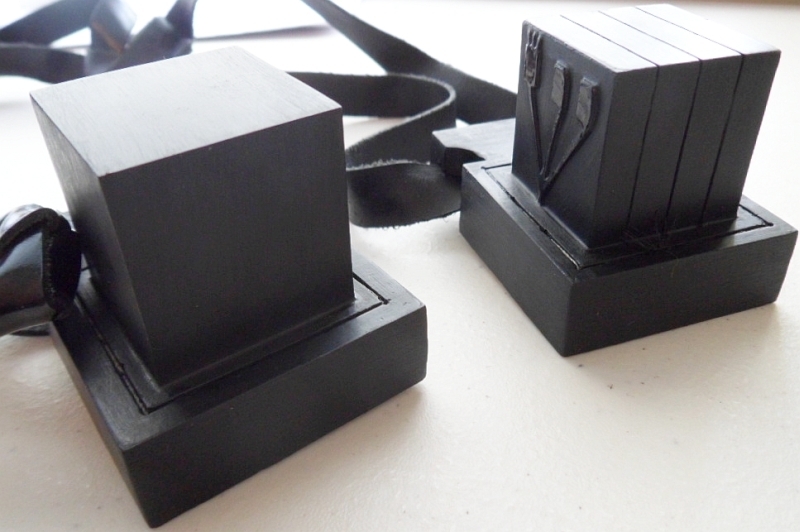 They are small, black leather boxes containing small pieces of parchment on which a small portion of the Torah is written. They are worn by Torah observant Jews during morning prayers. The rituals of another religion may seem strange— it is tempting to look negatively on them. We should resist that temptation. 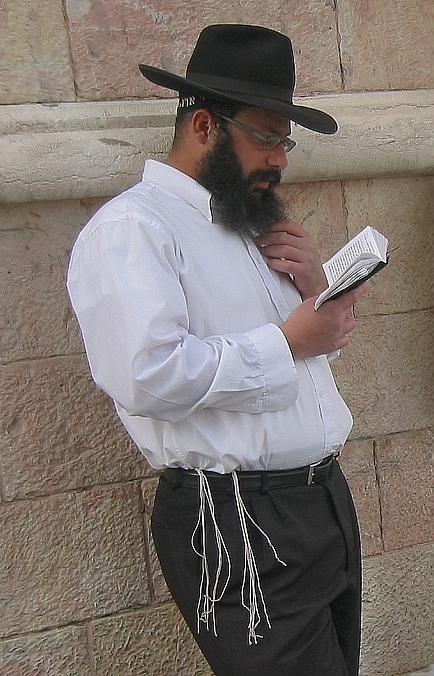 Jesus wore tzitzit; it is very likely that he also wore tefillin. These customs have their origins in Scripture and they are meaningful when practiced for their intended purpose— to “remember all the commandments of the LORD and do them” and “that the law of the LORD may be in your mouth”. These symbols are not an amulet or talisman— they are not intended to be mere decorations or “good luck charms”. It would be culturally disrespectful to wear them insincerely— separate from the people and the Torah observance that they signify. More Information on Tefillin and Tzitzit can be found at Wikipedia.